Dr. Cynthia M. Lopez has a passion for treating acne and acne scars that started in 2009, after positively changing the life of a 14-year-old Hispanic patient that was being bullied because of her acne. Dr. Lopez helped transform a once shy, low self-esteem person to a more confident, talkative teen. Since this transformative experience, Dr. Lopez has encountered and changed the lives of countless teens and adults suffering from both severe acne and acne scars. Dr. Lopez's expertise in improving even the worst acne and acne scar conditions is unparalleled. She is the go-to cosmetic surgeon for patients who haven't found solutions for their skin concerns. Many patients have undergone light therapy, laser treatments, Fraxels, chemical peels, Blue peels, Vi-peels, surgical interventions, steroid injections, creams and products with no luck. In some cases their skin got worse! Dr. Lopez is an acne scar miracle worker and you will know why when you see the before and after results of her patients. Recently, Dr. Lopez has become a renowned authority for "How to treat acne and acne scars on ethnic skin" and lectures on the topic to the medical community. Dr. Lopez's sensitivity toward patients makes her an excellent and compassionate cosmetic surgeon. 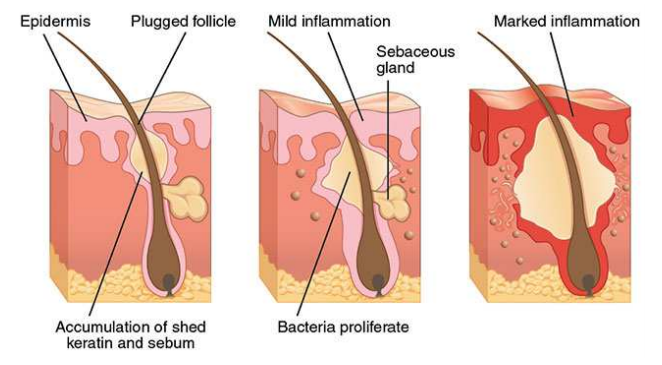 Acne occurs when a "plug" of oil, dead skin cells, and acne bacteria, get stuck inside the pore of a hair follicle. This causes the hair follicle to swell and get infected, called acne infection. Acne is most common among teenagers, with a reported prevalence of 70 to 87 percent. During adolescense, special hormones called androgen (chemicals your body makes) cause your body to grow and change very quickly. Androgens cause 2 major things to happen inside the pores of your skin. (1)They cause the oil glands in your skin to grow and make more oil, also called sebum and (2)They also cause the skin inside your pores to grow faster. When there is too much sebum produced, it mixes with old skin flakes and can form a sticky plug that clogs your pores. If there is an acne bacteria that gets trapped into the clogged pores, acne infection develops. Acne is NOT caused by dirty skin or poor hygiene. Dirt on your skin does not cause acne. However, keeping your skin clean and pores open may help the pimples go away faster. The goal of acne treatment is to minimize severe exacerbations so that life-long scarring is prevented or minimized. Other than Accutane, there is NO CURE for acne. Accutane has about 80% cure rate to get rid of acne for a very long time. However, Accutane is also known to cause severe side effects including liver problems, depression, suicidal ideation and birth defects in pregnant women. It is also known to cause deep, ugly looking scars. I don't write prescriptions for Accutane because of its risks and because of the deep scars it causes. My acne treatment regimen works better than Accutane without its side effects. I create a personalized regimen based on your acne profile: acne severity, presence of acne outside of the face, presence of scars and relation of bad breakouts with menstrual cycles in girls. The best time to treat acne is when they are just beginning to appear and have not yet infected the deeper layers of the skin. When acne is caught early, the chance of developing acne scars is small. 1. Unclog pores by peeling off old layers of skin. 3. Normalize skin shedding and growth, so that dead cells don't pile up on top of one another. 4. Kill or immobilize P. acnes, the bacteria that causes the infection. 5. If appropriate, increase the level of female hormones in girls to prevent spikes of androgen hormones. Treatment tools include prescription and non-prescription medications, chemical or physical skin abraders, inflammation de-compressors and the use of light and lasers. The matching of these various tools with a specific acne profile is the crux of my advanced acne treatment. With tight compliance, patients expect to see 25% improvement in 2 weeks; 75% improvement in 3 months and 95-99% improvement in 6 months. Even the mildest scars can have negative impact on the affected person's confidence and self- esteem. His or her loved ones are affected too. Fortunately, there is a definitive treatment for acne scars. It is now possible to have a smoother skin. 1. Selectively ablate the skin (full field laser resurfacing): Laser beams peel away layers of normal skin around the craters so that they become shallower. The thickness of the removed skin can vary from very thin to very thick. The skin heals from the bottom up: a new layer of skin is laid on top of the ablated skin. Complete layering of skin (called epidermalization or epithelialization) is expected to occur in 4 to 6 weeks. 2. Aerate the skin (Fractional Resurfacing): Laser beams punch thousands of holes through the skin while leaving intact skin around the holes. The height of the punched holes can be very shallow to very deep, depending on the severity of the acne scars. As the skin heals, the holes are filled up with brand new collagen, lifting up the craters. The untouched, untreated, intact skin around the holes will help the skin heal faster. By first sanding down the edges of the scars, the depth of the craters becomes shallower. By filling up the "holes" with new collagen by fractional resurfacing, the floor of the craters get lifted. By combining these two procedures, the depth of the crater holes becomes shallower and smaller in a shorter period of time. The skin becomes smoother even after one single treatment. Three treatments are usually needed to provide observable and quantifiable results. Treatments are spaced 2-3 months apart. Social downtime from the combined laser procedures may range from 2 - 10 days. For ice pick scars, TCA CROSS followed by Laser Resurfacing is the treatment of choice. 1. TCA CROSS is chemical reconstruction of skin scars (CROSS) using high concentrations of trichloroacetic acid (TCA). Ice pick scars are wide at the opening and narrows down to a long tube like a long V. In this technique, high concentration of TCA is applied to each of the mouth of the ice pick scars. The chemical TCA snakes down all the way to the narrow bottom and fills up the V. In the next 10-15 seconds, you can visibly see the scars getting burnt as evidenced by the frosting sign. Frosting is due to the coagulation of epidermal and dermal proteins. As the skin heals and creates new collagen, the burnt scars crust up and detach. Neo-collagenization continues resulting to shallower scars. Five or six courses of treatment at monthly intervals is recommended for optimum results. 2. After completing five or six sessions of TCA CROSS, most patients would have shallower and smaller scars. However, the pores are still larger than normal. This is where laser resurfacing as described above, comes in to do the final smoothing. Recovery is limited to redness and scabbing that many patients don't consider a downtime. For tethered, bound down rolling scars, Subcision + dermal fillers or PRP is the treatment of choice. The deeply bound scars that are tethered or rooted down to the deeper tissue should first be cut in a process called subcision. To prevent the cut scars from re-attaching to one another or from attaching to the surrounding normal tissue, a buffer such as dermal filler or PRP should be injected in-between the fresh wounds of the cut scars. In the next few days, the skin creates new collagen to surround the cut scars filling and raising up the dent. Recovery from this procedure may take a week due to swelling and bruising. To amp up the results, a fractional laser can be included to drill down thousands of holes into the scars further breaking the scars apart and further stimulating the body to produce new collagen. Most patients have a mixture of scar types and severity wherein the best approach, is multiple treatments in one session. For example, a patient presenting with ice pick scars, box car scars and rolling scars will have multiple treatments in one session that involve TCA CROSS, subcision, fractional laser resurfacing, full field laser resurfacing, dermal fillers and PRP. This mega treatment is elaborate, time-consuming, and require lengthy recovery but can bring about dramatic results. Some patients would prefer to tackle one scar at time. For example, if one large scar is the only thing that bothers the patient the most and he/she is not really worried about the other scars, then a simple punch excision may be enough to satisfy his/her need. Or a patient who has a short term goal to look good at his/her reunion does not want to have any downtime and is only worried about one side of his/her face that has the rolling scar. In this case, dermal fillers may be enough. Microneedling (whether with Dermapen or Radiofrequency) do not work well with deep, matured scars. I find microneedling useful for brand new scars that are still pink and reddish. You usually find these in adolescents and teens who are still going through their active acne. Q: Is Accutane a permanent cure for acne? Many doctors use Accutane to treat acne. This is because it has the ability to dramatically reduce acne breakouts. I don't prescribe Accutane. Many patients that come to my office have been on 2 or 3 cycles of Accutane and they were still breaking out. I am anti-Accutane not so much because of the persistence of breakouts but because I observed that many of the post Accutane patients I saw have uglier scars that are more difficult to treat. As the teen approaches his/her early 20's, the level of androgen hormones go down and the skin also develops antibodies against acne. With or without intervention, acne resolves. However, the tell-tale signs of what happened in the skin remains - the acne scars. Acne goes away but scars stay. They look worse as people age. The goal of acne treatment is to minimize severe exacerbations so that life-long scarring is prevented or minimized. Minimizing severe exacerbations is possible without Accutane. This can be accomplished by a multi-pronged treatment that attacks the active infection if it is present, that shrinks the active oil glands, that reduces the pressure of active inflammation and that keeps the pores open all the time. This is what I do in my practice and it works all the time. Q: How come my acne gets worse during football season? Anything that blocks the pores in your skin will make acne worse. DO NOT wear headbands, chin straps, or tight hats that rub against your skin. If you absolutely need to do this, place a cotton cloth in between your skin and whatever head gear you're wearing so as not to aggravate your acne. Also, keep hair off your forehead and away from your face. Wash your hair every day if it is very oily. Q: Does pimple popping get rid of acne? Pimple popping does not get rid of acne. Pimple popping is so prevalent in the internet that people think this is the best way to treat acne. Not at all. When you pop pimples with a pimple popper or with your fingers, it creates so much pressure on the already fragile acne cysts below the skin that these cysts pop inside, effectively spreading the infection and making the acne worse. The safest way to pop your pimples is with a sterile needle. Sterile needles are sharp and clean that it will not hurt the skin. Pimple popping tools and your fingers hurt the skin and creates more trauma that in turn creates uglier scars. Even popping with needles does not get rid of acne. However, when you pop with needles, the pressure from acne infection is released and this helps prevent the acne from becoming deeper and larger. Q: Why is my acne so painful? Nodulo-cystic acne is usually painful. These are acne infection that are deep into the skin - they are just red on top and no matter how much they are squeezed, nothing comes out. By the way, NEVER ever POP your acne with your fingers and the metal pimple popper by all means. If you do this, you will be traumatizing your skin even more, creating uglier scars. They need to be drained properly by an acne doctor who knows how to do it. Some patients are injected with steroids so that the acne infection and pain will quickly go down. This is a BIG NO in my practice. Steroid injections for acne are band-aid treatments. Steroids are immuno- suppressants. This means the drug suppresses the inflammation from infection but what most people do not know is that, it also suppresses the ability of your skin to heal well. It is a double edge sword. Acne patients who have had steroid injections end up with much more depressed scars. I inherit acne scars that have been shot with steroids and they are very difficult to treat. Under treatment is the most common reason in not improving acne scars. Not matching the right tool with the scar is the second most reason. In my practice, the first thing I do is make a good assessment of the acne scar type. Is it ice pick, box car or rolling? A patient usually has a mixture of these scar types. Next, are the scars deep or shallow? The best way to figure out how deep the scars are is by angled lighting. Try to light your face in an angle from behind to see how much light is trapped in the scars. This way you'll know how deep your scars are. Third, are hypertrophic scars also present? These are scars that feel hard and elevated and are not even with the skin. Fourth, what is the ethnic skin color? Is the patient's skin fair, brown or black? Is the skin prone to hyperpigmentation? Fifth, what degree of result do you want? Dramatic or just a little improvement? Sixth, how much downtime are you willing to go through? Only when these questions are properly answered that I can provide a plan that fits well with the patient's goals. That means matching the right tools with the scars and choosing the appropriate intensity of treatments that also respects their ethnic skin type and recovery objective. The dermatologist has plenty of good reasons to be concerned treating your acne scars. Ethnic skin is prone to developing hyperpigmentation after any type of acne scar revision. Asians, in particular have very sensitive skin. Treating any ethnic skin requires a gingerly, meticulous approach not only during the procedure but after the procedure as well. Most of my acne scar patients are of ethnic skin and all their treatments have been successful. Q: What can I do for hypertrophic scars on my face? The cyst marks are hard, elevated and skin colored. In my practice, I fractionate hypertrophic scars with a fractional laser resurfacing tool, then apply injectable steroid over the fractionated scars so that the substance runs through the holes. This serves two objectives. Break the scars apart with fractional laser resurfacing and flatten the elevated scars with steroid. Over multiple treatments, the elevated scars will be replaced by natural skin. Fractional microneedling (Dermapen or Infini) will hardly work on hypertrophic scars. In my opinion, it is a waste of time and money. Grade IV scars are scars that are evident at social distances greater than 50 cm (greater than 20 inches or more than 4 feet) and is not covered easily by makeup or the normal shadow of shaved beard hair in men. If this is the grade of your scars, then this means your scars are pretty deep. Grade IV scars are usually the heavy mixed type. There are dilated ice pick scars, deep box car scars and bound down rolling scars all in one place. In order to bring about results, multiple tools are usually employed over multiple treatment sessions. The initial treatment intensity should at least start at level 4. Anything less than this will give a sub par result. Level 4 intensity requires at least a one week recovery time. Q: I spent so much money on products to get rid of my acne scars and they still won't go away, why is that? Acne scars are structural defects in the skin that no potion and cream in the world can treat. Scars created by acne infection are deep. The infection literally dissolves the skin and dermis so that the end result is ABSENCE OF SKIN AND DERMIS, that we call scars. If there is a powder made of skin that we can sprinkle on the scars and make new skin, that will be an awesome invention. We have not gotten to that level yet. As of now, multiple treatments by various methods are the ideal approach to scar revision. The main objective of acne scar revision is for your body to CREATE BRAND NEW SKIN from below the scars so that overtime, the lost skin and dermis is replaced by your own normal skin. Q: Is there a treatment that can immediately improve my scars? For stretchable, rolling scars, there is a treatment that will instantly raise up the indented scars in one treatment session. 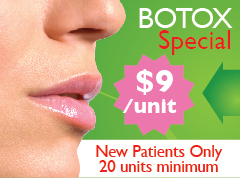 This treatment involves injecting a substance below the dents. This substance can either be dermal fillers, collagen or silicone. However, they simply raise up the scars, not replace the lost skin. The overall look and feel usually does not look palatable to the eyes. Yes, the dents are raised, but the skin is still not even. However, this may work for some people who just want some degree of temporary improvement because of a wedding or reunion in the next few weeks, then plan for a more permanent result treatment after the emergency event has passed. Q: I have undergone 3 punch excision on my face scars and they became worse, instead of better. Punch excision is not effective and can be counter-productive if the scars excised are in an area of dynamic muscle movement like the cheeks. The idea behind a punch excision is to replace a deep, large box car scar with a flat linear scar. After punching out the scars with a circular puncher, the skin is sutured and hopefully the sutures stay. Many times, the wounds separate as you smile and talk...then you end up with a worse scar. This is probably the reason why your scars got worse. Q: Why do my scars keep coming back? I've had a few sessions of fillers every year but they never truly got better. You probably have tethered, deeply bound rolling scars, which could be the reason why your doctor injected dermal fillers on you. This type of scars is the most difficult to treat but can be dramatically improved with the right tools. Dermal fillers alone will not work. The deeply bound scars that are tethered or rooted down to the deeper tissue should first be cut in a process called subcision. To prevent the cut scars from re-attaching to one another or from attaching to the surrounding normal tissue, a buffer such as dermal filler or PRP should be injected in-between the fresh wounds of the cut scars. In the next few days, the hope is for the body to create new collagen to surround the cut scars so that the dent raises up.